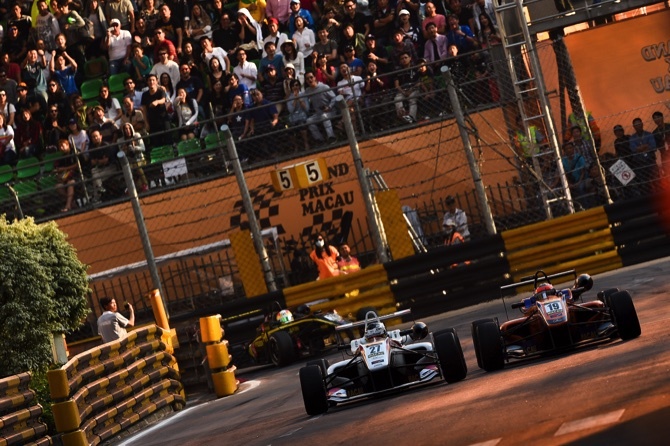 Barry Bland, whose Motor Race Consultants company has been coordinating Macau’s Guia Circuit Formula 3 (F3) event since 1983, has announced his withdrawal from the Macau Grand Prix. According to a report from the English edition of Autosport, the news that Bland was pulling out from the organization with immediate effect fell like a rock among F3 teams. According to Bland, the heart of the problem is that rushed developments have become characteristic of the Macau organization. As the media source reported, although last Friday (September 9) was the deadline for entries, on Thursday F3 teams had not yet received the sporting regulations. Echoes of the same problem came also from some of the regular participants at the Guia Circuit, with several teams reporting communication problems and a lack of a response from the local organization. They say these problems have been going on for several months. Sources from more than one team and from different racing events confirmed the prevalence of the problem to the Times. In fact, according to the information releases, the problem that resulted in the abandonment of Bland is not restricted to the F3 event but all of the racing program’s competitions. After the announcement, several more reactions followed. With the exit of Bland, the troubled race organization reaches a new low with several people going as far as to question the possibility of not hosting the event this year at all. Russell Eacott, T-Sport F3 Team chief was one advancing this view, saying: “Barry’s the go-to-guy – if you have a problem you go and see him; they’re big shoes to fill. We’ve got only a few weeks until the freight leaves [that should happen during the first week of November], so time is short,” he told Autosport. In response to the concerns on Friday, the Macau Grand Prix Organizing Committee (MGPOC) issued a statement to reassure participants. The Macau Grand Prix event is this year organized for the first time by a new organization working under the Sports Bureau, with the collaboration of the Automobile General Association Macau-China (AAMC). Until 2015 the event was organized by the Macau Grand Prix Committee, an interdepartmental government entity, which undertook the task of organizing what is sometimes considered the biggest annual event of the region and thought to be one of the largest motorsport events held in Asia. Recently the new organization has also been the target of criticism from teams and racers for several polemic decisions, such as the opening up of the “Guia Race” to racers from China Touring Cars Championship (CTCC) and British Touring Cars Championships (BTCC), although is still uncertain if any of the racers from those categories have registered. JAS Motorsport’s former World Champion Rob Huff confirmed yesterday that he will race again at the Guia Circuit. Huff was speaking to TCR Asia TV in a recorded interview held during the last weekend of August in Shanghai in the midst of the TCR Asia Series event. The interview, now disclosed, confirms the participation of the racer. “It means an opportunity to get back to Macau and hopefully make it 10 wins this year,” he said.